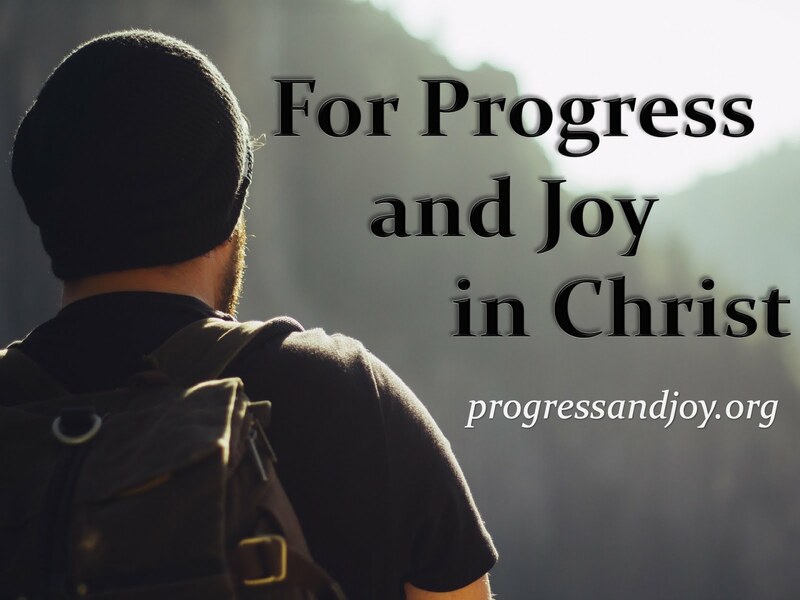 Progress and Joy: John 20:19-31 Peace to You! On the same day that the women went to the tomb and Mary Magdalene saw and spoke with the Lord, another resurrection appearance occurred. This was the first day of the week, which is why Christians now worship on Sundays and not the Sabbath. In the evening some of the disciples were gathered in a room with the doors shut. They locked the doors because they had seen what the Jewish rulers could do, and they feared them. The reason that John tells us the doors were locked is not mainly to tell us that they were afraid, but primarily to show us the miraculous nature of Christ’s appearance. Just as Jesus’ body passed through the grave clothes and the closed tomb, He also passes through walls with closed doors. “Peace” (shalom) was an ordinary Jewish greeting, but Christ gave it a much more significant meaning. Jesus transformed the term when He taught about His peace in the upper room, and when He reveals Himself after the resurrection, He uses the same greeting. Look back to (14:27 and 16:33). The animosity between God and mankind was now removed and put to rest. Through Christ, we now have peace with God (Rom 5:1-2). We were enemies, but have now been reconciled (Col 1:21-23). What proof does Jesus give that it is really Him raised from the dead? What evidence can He show to assure them that peace has been attained? He shows the disciples the wounds from the crucifixion which were clearly seen on His hands and His side. Of course, the disciples were glad to see the Lord. Their grief has now been turned to joy, which is exactly what Christ intends to do among His people. After showing them His scars, Jesus repeats His greeting to them with “Peace!” They can now see what it took to attain the peace that He was offering. It took His sacrificial death. Do you remember the words of the hymn, “Oh, the mighty gulf that God did span at Calvary”? The Risen Christ is often seen in His resurrection appearances as a Commissioning Lord. We carry on His mission of reconciling the world to God. We do so by preaching and sharing the Good News of what Christ has done on the cross. We make disciples of all the nations–baptizing and teaching them. The commission given in verse 21 is tied to the giving of the Spirit in verse 22. The scene was probably just as mysterious to the apostles as it is to us. What Christ does seems so odd. There is no doubt that it makes on think of the creation of Adam at the beginning of Genesis, but there is also the question of how this fits with the coming of the Spirit in Acts 2. What some scholars believe, and I think that I agree, is that Jesus is acting out a parable again which points to the fulfillment of His promises to send another Helper. Acts 2 is the fulfillment of what Jesus foreshadows in John 20:22. Thus, the disciples do not receive the gift of the Holy Spirit at that moment. They are still fearful later. Verse 23 is part of the apostolic commission. Some argue, and I may agree, that this comes true in the preaching of the Gospel. The Gospel message demands a response, whether it be positive or negative. The message is life to some and death to others. It brings about repentance and forgiveness for some while it secures condemnation for others. Thomas was not present when Christ first appeared to the disciples and there is no reason given. Can you imagine the jubilation that the other ten must have had as they told Thomas, but Thomas was on guard, he would not be gullible. This kind of doubt that Thomas displays is rooted in massive religious disappointment. He wants to know that this resurrected Jesus that the others are talking about is the same pre-death Jesus. He had followed this man for three years or so, devoted his life to this ministry, expected great things of Jesus and then he was left helpless as his Rabbi was nailed to a cross. He had heard the report of the other disciples, but that was not going to be enough. As in verse 19 above, the disciples are once again in a locked room (and this time Thomas is with them). The door is locked again. They still fear the Jews. In His resurrected, glorified body Jesus has no need to open doors. Again, His greeting is “Peace!” Next something very personal happens. Jesus turns to Thomas to deal with him directly. He knows what Thomas has said. What does this demonstrate to us? (1) Jesus hears His disciples even when He is not physically present with them. (2) Although Jesus’ atoning work is complete He still ministers to His people. (3) Jesus will not lose any of all the Father has given Him. (4) Jesus’ continuous call is to believe. Notice how verse 29 is connected to 28. This is how belief looks and sounds. This is what the reader is called to believe. The beatitude is this, “Blessed are those who have not seen and yet have confessed that Jesus is Lord and God.” That is the belief that a disciple must conclude. This beatitude is the second of the only two mentioned in John’s book (13:17). Blessed means happy, satisfied, and accepted by God. Not seeing does not diminish our happiness, satisfaction, or acceptance by God (1 Pet 1:8-9). The grammar links verses 30-31 with the preceding section. This is the message that is suggested: Blessed are those who have not seen and yet have believed. Therefore this book has been recorded in order that many who have not seen will read and BELIEVE. Now the main goal seems to be to evangelize, yet there is a secondary goal which is to establish the faith of Christians. There were many other signs performed, but these select few are given.